St. Peter Movilă was the Metropolitan of Kiev (Ukraine) from 1632 until his death in 1646. He is known as a leading Orthodox theologian of the e18th century and as a reformer of the orthodox theological education. His feast day is the Romanian Orthodox Church on December 22. Peter Movilă was born on December 21, 1596 (1574 according to some other sources) in the noble Moldavian family, very important for the history of Romania in the 16th-18th centuries. From the Family Movilă became more princes of Wallachia and Moldova, and between those was also Peter’s father, Simion (Prince of Wallachia, in 1601 and of Moldova in 1606-1607) and his brother, Ieremia (Jeremy) Movilă (in Moldova, 1595-1606, with a brief interruption in 1600). His mother, Marghita, was a Polish princess. In 1599-1600, the Wallachian prince Mihai the Brave tried a short unification of the coutries lived by Romanians (Wallachia, Moldova and Transylvania), and because of the turbulent political situation in Moldova, the family had to flee to Poland when Peter was still very young. In 1607 his father was killed by the tatar khan Kantemir Murza, and he moved together with his mother definitively in Poland, where they had important relatives, as the family of Polotski, Korezski and Wysnowiecki. Peter received the early education here, in the Lvov Orthodox school, and then continued his studies in Western Europe, including Paris and Amsterdam, so that he was the first known Romanian to attend western studies, being in contact with the study and the methods used here. Back in Poland, he became shortly officer, fighting in two battles, both in Moldova, at Zezor (1620) and Hotin (1621), but he was attracted more to the monastic life. Even living a noble’s life in Poland, he retained the Orthodox faith. In 1625 he entered the monastery Lavra Pecerska in Kiev, being tonsured as monk in 1627. Later he was ordained priest and then received the rank of Archimandrite. Shortly he was ordained as bishop and enthroned as Metropolitan of Kiev in 1632, the highest orthodox rank in the Kingdom of Poland at that time. As Metropolitan he was the founder of the Kievean Spiritual Academy, the first orthodox institution of theological education, organized on the principles of the theological seminaries and universities from the West. Even if until then Latin was quite unknown to the Orthodox believers, the teaching here was mainly in Latin (also an official language in Poland) and secondly in Greek and Russian, which was more spoken in the Ukrainian part of Poland. Newly for the eastern Orthodox, the students here received a double theological and scientific training, so that the only learning of the liturgical rites was doubled by a scientific knowledge of the theology. Beyond theology were studied he school offered a variety of disciplines: Ukrainian, Latin, Greek, and Polish languages; philosophy; mathematics, including geometry; astronomy; music; and history. Because of the high profile of the faculty, the collegium received the status of a higher educational establishment. Peter governed the Church in Ukraine in a very difficult period in Poland, after the Union of Brest-Litovsk (1596), when much of the Orthodox here accepted the supremacy of the Pope of Rome and union with the Catholic Church. Very concerned about the fate of the Orthodox Church, Peter was dedicated to strengthening the Orthodox position, that had remained independent from Rome. 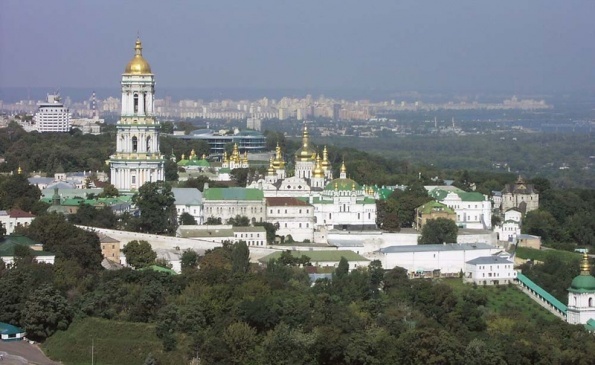 Despite the strong political and social pressure, sometimes violent, he was able to recover for his Church a large number of temples, including the St. Sophia Cathedral in Kiev. As the representative of the Orthodox Clergy in the Sejm (Parliament), negotiated here, and with the king, the abolition of the repressive laws against the Orthodox Church and against the use of the Ukrainian language. Finally, the new protestant King Władysław IV Vasa (1632-1646) reinstated the status of the Ukrainian Orthodox Church. After becoming metropolitan, started to print different books, about 15 titles in 5 years. 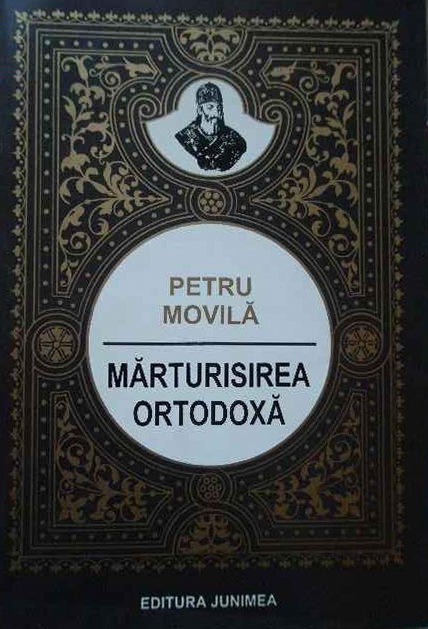 Peter Movilă published in 1637 an annotated edition of the four Gospels, after the western model, and in 1646, also a revised edition of the Euhologhion or Trebnik, the book of the main special services in the Orthodox Church. Also he is the author of some commentaries about the articles from the Symbol of Faitn (Niceo-constantinopolitane), and a small Russian Catechism for the use of the Russian-speaking Church. His most famous work is the Orthodox Confession of Faith of the Apostolic and Catholic Orthodox Church of the East, which was a response to the Jesuits and Western reformers, very active in that time, in order to attract the Eastern Orthodox on their side. Also it was a reaction to the semi-calvinistic Confession of Faith published in 1629 by the Patriarch Cyril Lucaris of Constantinople, in Geneva. The Confession of Metropolitan Peter was written after the scholastical catholic method, quite strange for the eastern mentalities. It was the first Eastern Confession of Faith after the one written by John from Damascus in the 9th century, with a whole different language and methodology. 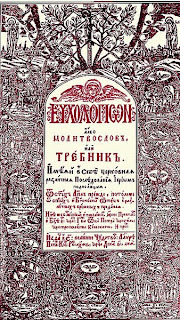 Because of these new vision, the work was discussed in the first inter/orthodox Council after the fall of the Constantinople, in Iasi, the capital of Moldova, in 1642 and recognized as valid, after the Synod corrected two points: the position about the purgatory, which is not accepted in the Eastern Church, and the problem of when it happens the transfiguration of the bread and wine into the Body and Blood of Our Lord. Accordinf to Peter’s meaning, it happens at the moment of anamnesis, that is, when the priest is reciting the biblical text: “Take and eat…” and “Drink from this all…”. The synodals, keeping the position formulated by Nicholas Cabasilas in the 12th century, argued that this is happening at the moment of reciting the epiklesis, a formula immediately after. 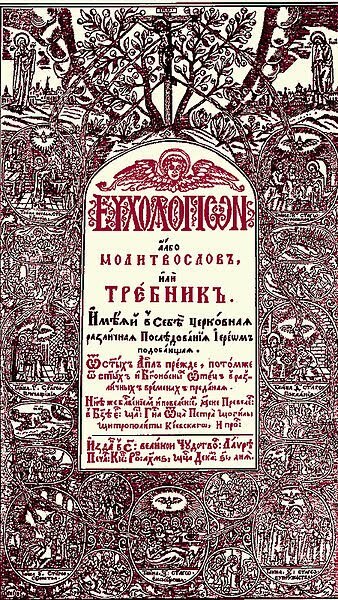 The Orthodox Confession of Faith was published in 1645 in latin and shortly after it was then spread throughout Europe in Greek, Latin, German and Russian. With the changes made by the Synod, the Confession was recognized by the patriarchs of Constantinople, Jerusalem, Alexandria and Antioch in 1643, and in 1672, the Holy Synod of Jerusalem adopted the Confession of Faith of Peter Movilă as its official catechism. The first edition in Romanian language appeared in 1699. Some contemporary Orthodox theologians such as George Florovski or Christos Yannaras accused Peter Movilă of being strongly influenced by the Western influence, which is perfectly true, but not at all wrong for his time. The scholastic style of exposing the faith, though foreign for the orthodox experience, was very good for the students and future priests, who had their first “manual” of theology, punctually structured. Also this style was asked in order to be an answer to the Catholic and Protestant positions. He passed away on December 22, 1646, in Kiev, being buried at the Pecherska Lavra, the biggest Ukrainian monastery, where he rests until today. 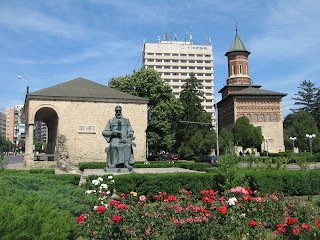 He is venerated as a saint by the Churches of Ukraine, Romania and Poland. His feast day is December 22 Romanian Orthodox Church (since 1997) and Ukraine on 1 January independently, and on October 6, together with the other holy Metropolitans of Kiev. In 1996 it was opened a new theological Academy in Kiev, named “Mohyla-Academy”. “Defender and confessor of the Orthodoxy, enlightener of Gentiles, son of Moldova’s son and Ukraine’s father, Holy Hierarch Peter, virtuous man, pray to Christ the God to defend our faith and to save our souls”. 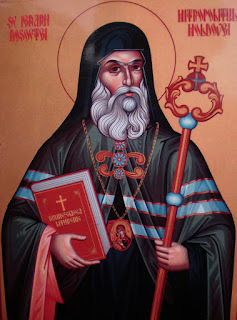 Saint Daniil the Hermit (in Romanian, Daniil Sihastrul = also, the hesychast) was a Romanian hermit and the confessor of the voivode (prince) of Moldova, St. Stephen the Great (1457-1504). Daniil the Hermit was born at the beginning of the 15th century, in a village near Rădăuţi, an important town in Northern Moldova, and received at baptism the name of Demetrius (Dimitrie). About his youth there’s not very much known, but it seems that he came from a simple family, having a simple education, without attending the great schools of his time. At 10 years he became an apprentice of St. Leontie, bishop of Rădăuţi. He received the tonsure as monk at the age of 16, being named David, at the Monastery of St. Nicholas in Rădăuţi. After a while he left the citadine monastery and lived at the monastery of St. Lawrence, near the village of Vicovu de Sus, in the monutains of Bucovina. Being a solitary character, he needed always more quiet, so that he took the vowes of the so-called “great Skima”, receiving the name of Daniel. 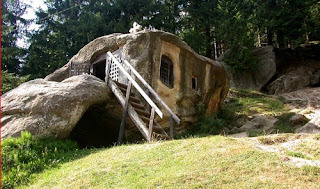 The Monastical tradition of the East provides two states for the monks, “the little Skima” being the simple form of the congregational monasticies, during the “big Skima” is reserved to the solitaries, “spiritually high levelled” monks, who live after that alone in the forests, caves or deserts. As a hermit, he retired to a wooded hardly accessible area, in the valley of theViţău River, near the actual village of ​​Putna. In that place he found a rock, in which is believed that he carved a small chapel. This place, today a seat of pilgrimage, consists in the small chapel, and below it a room, carved also in stone, which served him as a cell. The simplicity of this place was amazing since there, but especially for the visitors today. St. Daniil remained here for a while, and after the tradition, the prince Stephen the Great came here in 1451, after the assasinate of his father Bogdan II. The hermit Daniil prophesied that soon he will become ruler of Moldavia, which happened in 1457. The visits of Stephen continued for the rest of the earthly years of the saint, who became not only the confessor, but also the counselor of the prince. 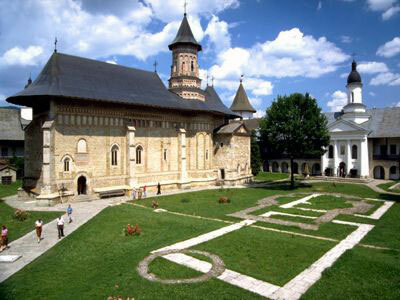 At the advice of Daniil, Stephen built the greatest Monastery from Moldova, at Putna, 2 km away from the cell. 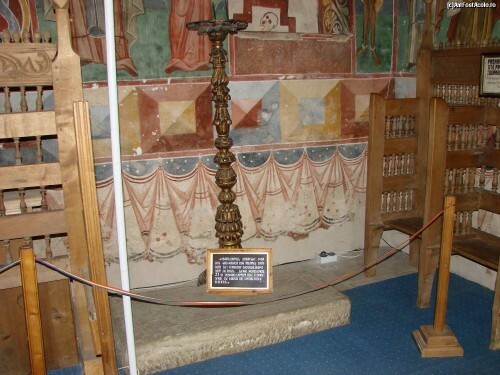 The monastery was important in the next century, being the burial place of the prince and in the meantime, the symbol of the Romanian resistance during the 2-century Austrian occupation. After the building of the monastery (1470) the hermit Daniil moved away, in order to find his bothered silence, at Voroneţ, about 30 kilometers to the south, under the Falcon’s Rock (Stânca Şoimului). 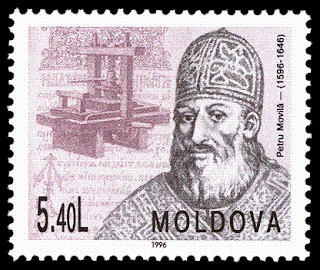 In 1477 the Metropolitan Teoctist of Moldova died, and the prince together with the council of the coutry elected him as Moldova’s pastor. He refused, because he wanted to remain solitary at his Falcon’s Rock. The Prince Stephen visited further the hermit, after his defeat at Războieni against the Turks in 1476, asking for advice. After letting him to wait at his door, because “he was in the middle of a prayer”, Daniil “ordered” to the prince not to leave or give the country to the Turks, something that seemed impossible, foreseeing that he will finally prevail, what it really happened. In memory of this victory, Stephen built in 1488 the monastery of Voroneţ, dedicated to St. George, which was painted during the reign of his son, Petru Rareş. The beauty of the painting here and the famous image of the Final Judgement on the western external wall, made the monastery famous, being called today “the Sixtine Chapel” of the East. After the consecration of the monastery, Daniel moved from his cell in the monastery, being named abbot. Here he spent the last years of his life. He died in 1496 and was buried in the church of the Voroneţ monastery. On the tombstone, made at the command of Stephen, it is written: “This is the tomb of our father David, hermit Daniil”. 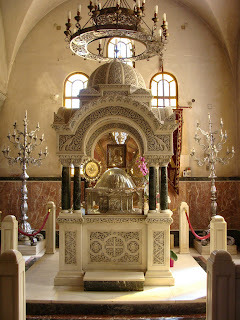 His relics were worshipped openly until 1775, when they were placed in the grave, where they were from the beginning. Today it is kept separately the index finger, which the Abbot Gideon from the Monastery of Putna locked in a silver box, in 1749. Daniil the Hermit was one of the founders of the Hesychast movement in northern Moldova, having many disciples in the forests around Voronet and in the hermitages and monasteries in the area. Also he is important, because he encouraged Stephen the Great to fight against the Turks and to defend the Christianity, and also to build places of worship after every battle, in the memory of the ones dead on the fighting field. Such as Prince Stephen is not holy because he raised 44 churches and monasteries, but because he resisted against the Turks, avoiding the danger of extinction of an entire Christian nation, similarly, Daniil is not a holy man only for his asceticism and for the guidance he gave to the monastic communities of the time. Especially Daniil’s holiness is respected because he “trained” a ruler to be faithful. Through him, prince Stephen was named as “athleta Christi” (“athlete of Christ”) by the Pope Sixtus IV. Daniel is the holy coach, the “shadow man” beyond the athlete. St. Daniil was considered holy already during life, healing the sick, casting out demons and giving advices suffering. 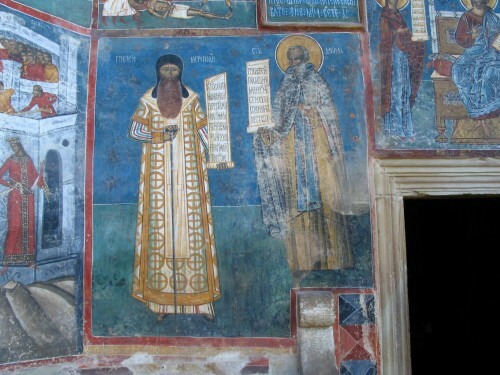 He was already depicted with the golden Aura (nimbus) of the saints, on the wall of the church at Voroneţ, only about 20 years of his death (in 1547 the church was painted), together with the one who ascended the metropolitan seat, Gregory Roşca. Being always considered a saint, he was though officially canonized by the Romanian Orthodox Church in 1992 under the name “The Pious St. Daniil the Hermit”. His day of celebration is 18 December, after some other saints with the same name, the prophet Daniel (17 December) and St. Daniel the Stylite (11 December). 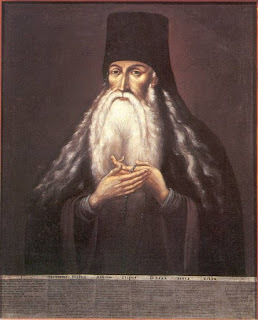 The St. Hierarch Dosoftei (born October 26, 1624, Suceava - d. December 13, 1693, at Żółkiew, Poland, today Jovkva, Ukraine) was a 17th century scholar monk and bishop, Metropolitan of Moldova (1671 -1673, 1675-1686), a very fine poet and good translator and witness to the Orthodox faith. For his missionary work, in 2005 the Romanian Orthodox Church proclaimed him as saint. His feast is on 13 December. Saint Dosoftei was born in 1624 in Suceava in a faithful family named Barilă. His parents Leontie and Misira, where Romanians refugees, came from Transylvania, and they had relatives in the neighbor country, Poland. The little baby was baptized as Demetrius, because he was born around the 26th of October, when in the Eastern Church is celebrated St. Demetrius. The young Demetrius went to the best schools of his time in Moldova and after that, at the school of the Orthodox Brotherhood from the Monastery of the Dormition of Theotokos, from Lviv, at that time in Poland. In this times he proved to be a talented child in translating the Holy Text of the Scriptures and the writings of the Churchfathers, and that happened because he knew many languages, as Greek, Latin, Church Slavonic, Polish and Ukrainian. In addition to the teachings, he learned at Probota monastery, near Suceava (the Capital of Moldova), also the spiritual teaching, being from his youth very familiar with the exercise of prayer, obedience and ascetic labors. In 1649, he was tonsured as monk, being named Dosoftei (the slavonic form of the Greek name Dositheos). 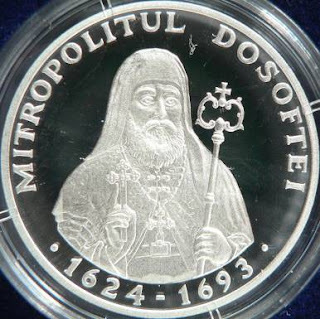 Because of his prestige as a scholar and of his virtues, Dosoftei was named bishop of Huşi in 1658, and after an year, he went to the seat of Roman. In 1671 he was elected as metropolitan of Moldova. As the highest Hierarch of the Principate, he remained gentle and humble with everyone, and amazed all by the wisdom he had: the historian Ion Neculce, in his Chronicle of Moldova describes him as: “This metropolitan Dosoftei was not a simple man by his nature. And he was from a “mazâl” (refugee) ancestry. Very learned, he knew several languages: Hellenic, Slavonic, and other deep-books (=wisdom) and teachings. He was full and devout monk and gentle as a lamb. In our country, in that time was no man alike. And the people say about him that he was a saint”. His hierarchical mission happened to meet a difficult social and political time in Moldova, with many changes of the Princes, because of the Polish and Turk interference in the country’s business. But even like that, he accomplished his mission in a special way, through translating the liturgical service books into the Romanian language, known by the people. His first published books were the Psalms versified in Romanian and the Akathistos of the God’s Mother (a prayer similar to the Rosarium, both in 1673). He proved to understand very deeply the sense of the Psalms and he succeeded to put them in verse in Romanian, which is something special, because nobody did it before in this land. His language is very beautiful, being used until today. 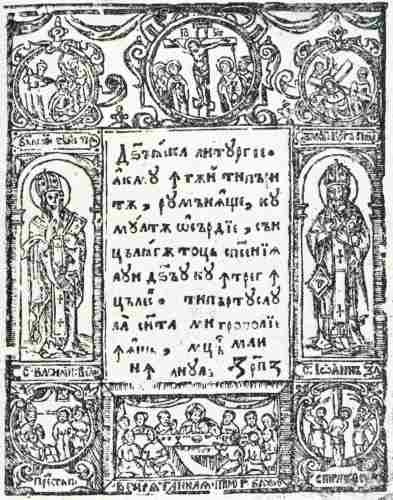 Also he was a theological authority, and revided the Romanian translation of the Old Testament, made by Nicolae Milescu, this text being included into the first Romanian Bible, in 1688. Because of the political situation and of his anti-Turk convictions, he was pushed up to leave the country, and to find a refuge in Poland. In 1674 he was replaced in the Metropolitan Seat from Iaşi (the new capital city) with St. Theodosius, the bishop of Roman. In the following year he came back as Metropolitan, and Theodosius withdrawn to the monastery of Bogdana, receiving after a little while a martyr’s death. 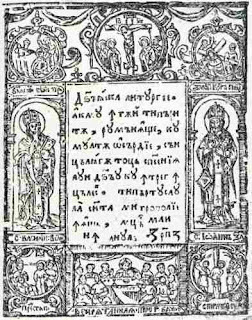 After the recovery of the printing machine in Iaşi, Dosoftei printed new books in Romanian: The Holy Liturgy (1679 and 1683), The Explained Book of Psalms (1680) with parallel text in Romanian and Slavonic, the Moliltfelnic (Book of the Sacred Services, 1681). Between 1682-1686 he translated from different Greek and Slavic sources and printed in Romanian The life and the passing over of the Saints, in four volumes. The work remained unfinished, due to the forced departure to Poland. This book is particularly necessary for the Church’s mission, being another great gift of Metropolitan Dosoftei to the Romanian believers. He speaks for the first time about the local saints, such as Daniel of Voroneţ (his article will appear on this website on 18 December), Rafail form Agapia, Chiriac from Bisericani Chiriac from Tazlău, Epifanie from Voroneţ, Partenie from Agapia, Ioan from Râşca, and Inochentie from Pobrata, all this saints being officially canonized only in the 20th century. In 1686, the Polish King Jan Sobieski, being into an anti-Ottoman campaign, came to Moldova to attract on his side the prince Constantin Cantemir. Being forced to withdraw, the Poles robed Moldova and have taken Dosoftei as a hostage along with some spiritual treasures, as the relics of St. John the New. 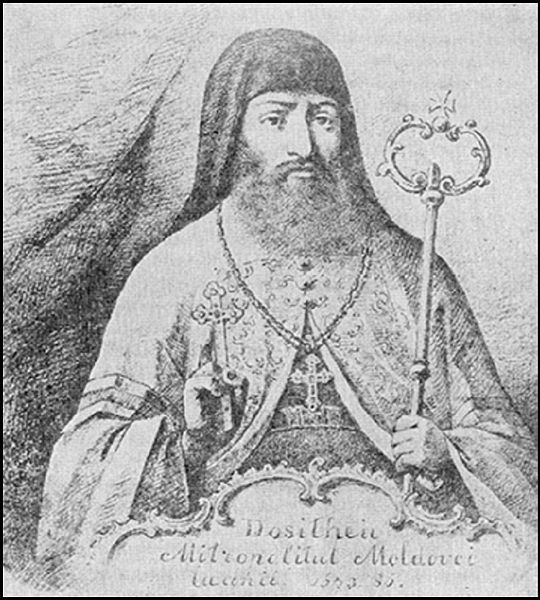 Metropolitan Dosoftei lived the last years of his life away from the country, but he continued his scholarly work and was in touch with the Orthodox hierarchs in Moscow and Kiev. So he helped to settle the theological conflicts about the Eucharistic prayer, by translating from greek to Church-Slavonic several works of John Chrysostom, Ephrem the Syrian, Germanus, Patriarch of Constantinople, and Simeon of Thessalonica, about this topic. Despite the pressures made against him by the Polish authorities, he refused the uniatism and remained as Orthodox bishop until his passing-over, on 13 December 1693. Saint Dosoftei was buried in the Nativity church in Jolkiew, today in Ukraine. Today his relics are settled in the Metropolitan Cathedral in Iaşi, Romania. St. Andrew represents for many Christians one of the most important saints in the year. That happens, as an example in Romania, where in the last 20 years almost a half of the born children were baptized with the name of this saint. 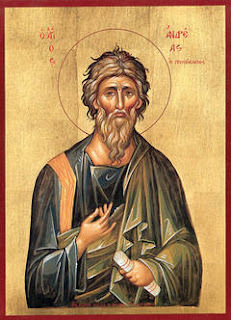 That happened, because of the popularizing of his cult: there is believed that the Apostle Andrew is the first one who preached the Gospel on the territories near the Black Sea. He is also considered the founder of the Church of Byzantium and is consequently the patron saint of the Ecumenical Patriarchate of Constantinople. In this way, providentially, the two brothers Peter and Andrew are the patron Saints of the Western Catholic Church, respectively of the Eastern Orthodox Church. About the Saint Andrew is not very much to know from the Gospels. Being born in the eastern Galilee, at the shore of the Genezareth Sea, in the little fishermen-town of Betsaida, probably he raised into a cosmopolite society. His name is coming from Greek, ἀνδρεία (“andreia”) meaing the virtue of the “brevity”, “manhood”, or “valour”. From the New Testament we may know that Andrew was the brother of Simon Peter, both sons of Jonah (Mt. 16:17, Jn. 1:42). Both he and his brother Peter were fishermen, and our Lord Jesus called them to be his disciples by saying that he will make them "fishers of men" (Mt. 4, 19). The Gospel of John states some more details: Andrew was a disciple of John the Baptist, who adviced him to follow Jesus.(Jn. 1:35-40). In the same text it is shown that Andrew is the one who first recognized Jesus as the Messiah, introduced Him to his brother (Jn. 1:41), that’s why in the Eastern Churches he is named “Andrew the First called to the Apostolate”. Sometimes Andrew is one of the closer companionship of Jesus, though generally the small group is formed only by Peter, John and Jacob. Other things are not known about St. Andrew until the Resurrection of Our Lord and his Ascension. Although not mentioned in the Acts of the Apostles, the missionary journeys of the Apostle Andrew are known for the Christian believers from several accounts of the Church Fathers. Eusebius of Caesarea, taking a tradition from Origenes (Church History III, 1), mentioned Scythia as the main place of his mission, and St. Gregory of Nazianzus (in the 33th Homily) mentions the land of Epirus. St. Jerome in his Epistle to Marcel mentions Achaia, and Theodoret of Cyrus (in the commentary on Psalm 116) reminds generally Greece. In addition, Nikephoros (in his Ecclesiastical History II, 39), based on an earlier work (which he mentions without naming it punctually), says that the Saint preached in Cappadocia, Galatia and Bithynia, then in the wilderness of Scythians, at that time inhabited by cannibals and later in Byzantium, where he ordained Stachys as the first bishop, then continued preaching in Thrace, Macedonia, Thessaly and finally in, Achaia. According to the tradition, St. Andrew's martyrdom took place during the reign of Nero, on 30th November in the year 60, and he is celebrated on this day both in the East and the West. The Legend Aurea, a work compiled by the Bishop James of Voragine of Genoa (XIIIth century), mentions that St. Andrew was nailed to a cross shaped in X-form (also called “Crux decussate” or “saltyra”), at the order of Aegeas, the governor of Patras, because he has refused to sacrifice to the gods. In the history, St. Andrew explains in details the meaning of the “foolish” sacrifice of Christ on the Cross. While being crucified, the saint preached the Gospel to the people who surrounded him, and after two days it came down from Heaven a great light, so nobody could see what happened with him for a half an hour. Together with this light, the soul of St. Andrew ascended to the Heaven. After his martyrical death, Maximilla, Aegeas’ wife, who was already Christian, took the Apostle’s body and buried him with honor. According to the legend, the tomb of St. Andrew emanated manna and nice smelling myrrh. When from the grave came only a few manna, the land gave less crop, and when manna came in abundance, the earth gave also more crop to the landworkers. The Relics of the First-Called among the Apostles remained in Patras until 357, when Emperor Constantius II, son of Constantine the Great, took and placed them in the Church of the Holy Apostles in Constantinople. They were kept whole until around 850, when the Byzantine Emperor Basil I the Macedonian at the prayers of the peoples from Patras sent them a holy reliquary with the head of the saint. In 1453 Thomas Palaeologus, Ruler of Morea (Peloponesus) and brother of the last Byzantine emperor (Constantine IX), refuged to Rome because of the Turkish danger, and took the holy relics from Patras (the head, a finger, and part of the cross), giving them as gift to the Pope Pius II, in the memory of the fact that Peter and Andrew were brothers. They were kept in a reliquary at Pienza, and later, in the dome of San Pietro. Pope Pius II received them, promising to send them back to Greece, where the country will be released by the Turks. Another Italian tradition claims that immediately after the Fourth Crusade, in 1208, the Cardinal Peter of Capua took the remnant holy relics from Constantionople and brought them in Amalfi, near Naples, some part of them being kept until today in the dome of San Andrea. From here, Pope Pius II would have been taken them, because of the Turkish danger in 1460, and gave them to the St. Peter's Cathedral in Rome, leaving only a few particles in Amalfi. 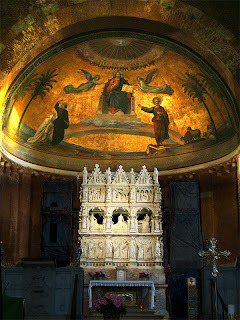 Today in Amalfi is stored also the sarcophagus in which were relics of the saint. In 1964 Pope Paul VI decided, during the third session of the Second Vatican Council, to offer back as gift the head of the Saint, to the Holy Church of Patras, as a sign of brotherly love. The Head of the Saint is here since September 26, 1964. 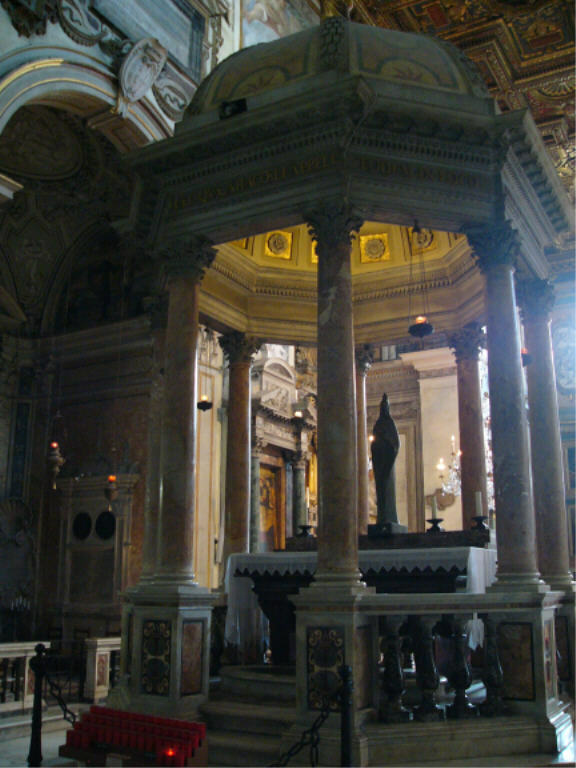 A small part of the relics remained also in the cathedral of San Pietro. A Western tradition claims that Bishop Acca of Hexam brought in the 8th century a piece of the relics of St. Andrew in Scotland, and soon Andrew was considered the patron saint of this country. 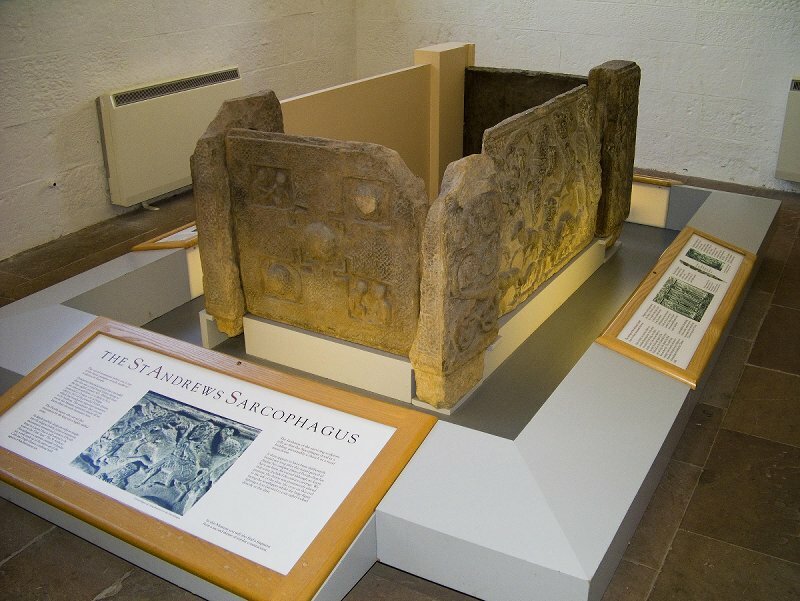 The relics were preserved in the cathedral from St. Andrews until the Reformation, when once the destruction of the cathedral, they were lost. In 1879 and 1969 it have been brought in Scotland some small relics from Amalfi, which are kept in the Cathedral St. Mary in Edinburgh. St. Andrew’s apostolic mission continues today through His relics, which are venerated by the Christians in various parts of the world. The Relics from Patras were brought in Romania twice, in 1996 in Iasi and Galati, and in 2011 in Bucharest and Sibiu, and particles these relics were donated to the cathedrals of Galati and Constanta. 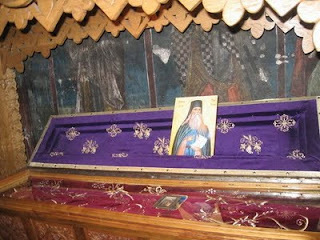 In the East, particles of the relics are kept also in the Russian skete of St. Andrew from Mount Athos, in the Russian Cathedral in Chelyabinsk (1884), the church of Gabrovo (Bulgaria), St. Andrew Church in Mesa Geitonia (Cyprus), Tbilisi (Georgia), and in the Orthodox cathedral in Astana (Kazakhstan). In the West, other reliquaries with the relics of the saint are found in Trier (Germany), in the Monastery of Santa Chiara in Naples, the church of Casino di Cicco Sant'Apollinare (between Rome and Naples), the churches of St. Andrew in Warsaw and Szaflary (near Krakow), the church of Saint Lupicin (in the Jura Mountains, France), the church of San Pedro de la Rua (Estella, Basque Country), in Mehrba (Malta) and, since 2006 also in the Catholic Cathedral from Hong Kong. A small particle there is found in the Romanian church in Vienna. St. Andrew is the patron of Scotland (Scottish flag is the cross of St Andrew), of Spain, Sicily, Greece, Russia, Ukraine and Romania. He is also the patron of the cities: Naples, Ravenna, Brescia, Amalfi, Mantua, Bordeaux, Bruges, Patras and Galati, my hometown. In the Eastern Europe is the Night before the Holiday of St Andrew (29/30 November), especially in the villages, one of the most important in the year. St Andrew was believed to be the protector against the evil spirits who are coming together with the winter time.. In some villages the peoples practice some rituals similar to the ones of the Western Halloween. For instance, today in Galati, a Romanian city protected by St. Andrew, there is organized a carnival which reminds of the old awful masks used, in order to scare the ghosts. Also there is still practiced the custom of hanging garlic near the doors and windows and to make pumpkin lanterns and pumpkin cakes in this day, because there is believed that, in this night, the ghosts and the wolves are haunting the streets. Also the landworkers put basil (a sacred plant) and holy water in the drinking water of the cattle, in order to protect them by the attacks of the wolves. They also sing in this evening some special carols, similar to the Christmas carols. The Night of St. Andrew is also a “prognosis” for the whole year. Usually, in this day there are put in the attic 12 healthy onions, which are left there until the Christmas Eve, when they are checked. Each onion is assigned the name of a month, and the onions that have been damaged indicate rainy months, during those that have sprouted - the months of a favorable harvest. A similar prediction, about the fate of the harvest is done using wheat berries. Also if the night is clear and warm, it is believed that the winter won’t be cold. If it's cold and snow, it is believed that these are the beginnings of a harsh winter. The old Romanian name for December is “Andrea”, by the belief that the Saint will protect the people until the smallest day in the year. 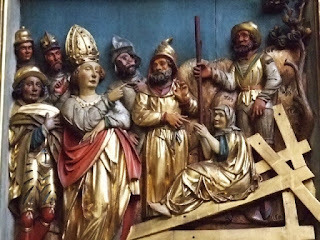 All those pagan customs show the importance of this Saint in the Calendar and, before being interpreted as some barbaric customs, they show that the simple believers hoped to be protected by the Saint against the bad things. 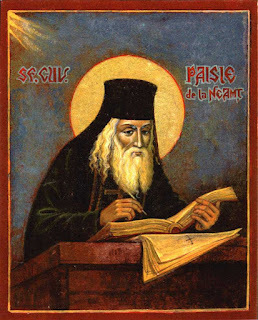 Saint Paisie from the Monastery of Neamţ (today in northwestern Romania) is a saint revendicated equally by the Slavic and the Romanian Orthodoxy, for his contribution to the “Orthodox Renaissance”, in the late 18th century. His name is transliterated in Romanian as Paisie Velicicovschi, and in Ukrainian as Паїсій Величковський. The revendication of a saint is not a priviledge, but an inheritance of a spirituality which both Romania and Ukraine (or maybe all the Slavic-speaking countries) have it fully until today. Saint Paisius, as a laymen named Peter, was born in born in Poltava, Ukraine on 21 December 1722, in a priestly family, being the eleventh child of twelve. His father, John, was the dean-priester in the diocese, and his mother, Irene, was a very pious Christian woman. His father died very early and the whole education given by his mother was crowned in 1735, when the child was sent to learn at the Theological Academy of Kiev, founded by the Bishop Peter Movilă, an important orthodox bishop in the late Middle Ages, the author of the Orthodox Confession of Faith from 1645. After four years of study, the young Peter left the school and entered in the community of the Medvedeski Monastery, being 19 years old. Here he was tonsured as rasofor (bearer of “rasa”, a monastic cloth: practically a novice), receiving the name of Platon. After a short stay in the monastery Pecerska, he came in Wallachia in 1745, at the skete Traisteni, near Ramnicu Sarat and then to Dălhăuţi Monastery (southern Moldova). In the summer of 1746 he went to Mount Athos, where he tried the life as a hermit, for 4 years. Only after that hewas tonsured as monk, in 1750, having as “godfather” his confessor, a Moldavian monk, St. Basil of Poiana Marului, taking then the name of Paisie (Paisius). Shortly after he was ordained as hieromonk (priester-monk), and he founded the monastic community of the Holy Prophet Elias. He wes gathering around him about 65 Romanian monks, and by summer 1763, he left Mt. Athos, because of the financial claimings of the Turks. So, Paisius and his community came back in Moldova and all established themselves at the monastery of Dragomirna, near the old capital, Suceava. The community of Paisius at Dragmirna has grown there to 350 monks. His success consisted in the popularization of some important mystical works, by translating them in the local languages. Paisius himself and some disciples translated for the first time the “Philokalia” (“the love for beauty”), a kind of manual of spirituality of the Eastern Churches, from old Greek to Romanian and Slavonic. A manuscript of this translation is kept until today at Dragomirna, consisting in 626 pages of text. St. Paisius gave a special attention to the group of translators. 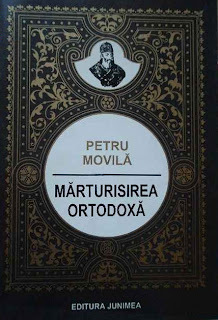 After Philokalia, some Moldavian, Wallachian and Transylvanian monks, but also Ukrainian or Russian translated many other texts of the Greek Fathers into Romanian and Slavonic, so that Neamt Monastery became practically a patristic academy and a spiritual center, unprecedented in other Orthodox countries in that time. That was the “Orthodox Renaissance”. In 1775, the Northern part of Moldavia (Bukovina) was occupied by the Austrian Empire, and St. Paisius moveed with 200 of his monks at Secu Monastery, which remained in Moldavia, with the consent of Metropolitan Gavriil Ghica Callimachi and Prince Gregory. At Secu, he made the same thing: combined the strong ascetic Athonite life with the work of translating texts into vernacular languages. 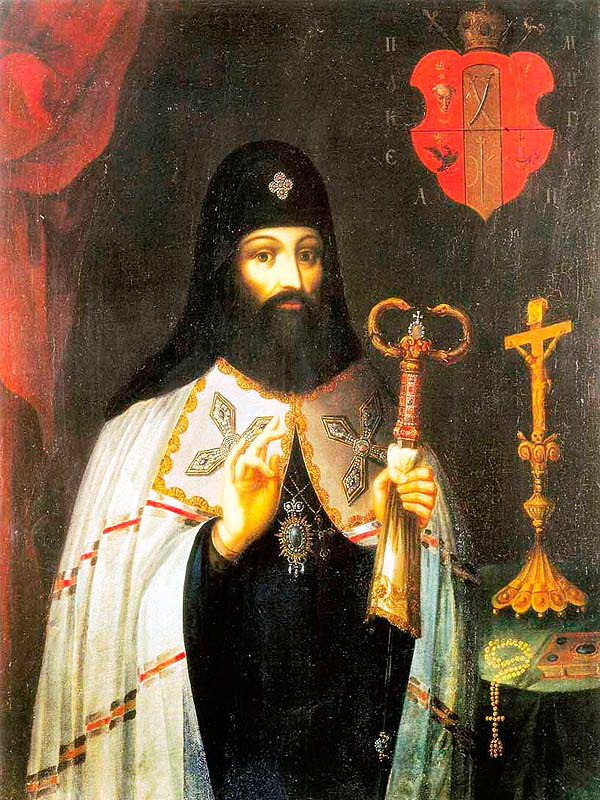 On August 1779 the new prince of Moldova decided to give to Paisius also the statute of stareţ (abbot) of the biggest Moldavian monastery at that time, namely Neamţ, so that the saint became a very important spiritual leader on two of the biggest monastic communities here. In the next fifteen years, St. Paisius preserved the rules of Mount Athos’s monastic life, both in terms of the order of divine services, and in the ascetical individual life of the brothers. Until his period, not all the monks were always at the services, but he imposed the participation to the church services as obligatory for all the brothers, except for the sick or those sent to very important works. A very important “reform” in the monastical life was the implementation of the “hesychast” prayer, well-known as the “Heart’s prayer”, which was a short incantation repeated unceasantly (as much as possible). The words of this prayer were: “Lord Jesus Christ, Son of God, have mercy of me, the sinner” and is supposed to be used for the first time at the Mount Athos in the period of St. Gregory Palamas (14th century), but new researches demonstrated the use of it in the 5th century in the Desert of Egypt (see Antoine Guillaumont – The origins of the monastical life). The Sacrament of the Confession repeated frequently among the brothers, up to every three days, conducted to the flourishing of the spiritual life of the community. In order to be able to do this, St. Paisius proceeded to the ordination of 24 priests, who confessed and spiritually guided the entire community. The confessors had also the role of overseeing the administration of the two monasteries. Near the Monasteries of Neamt and Secu, St. Paisius founded several hermitages for the nuns around the Mount Ceahlău, where he appointed as confessor St. Joseph them Hermit (1828), one of his disciples from Neamt. 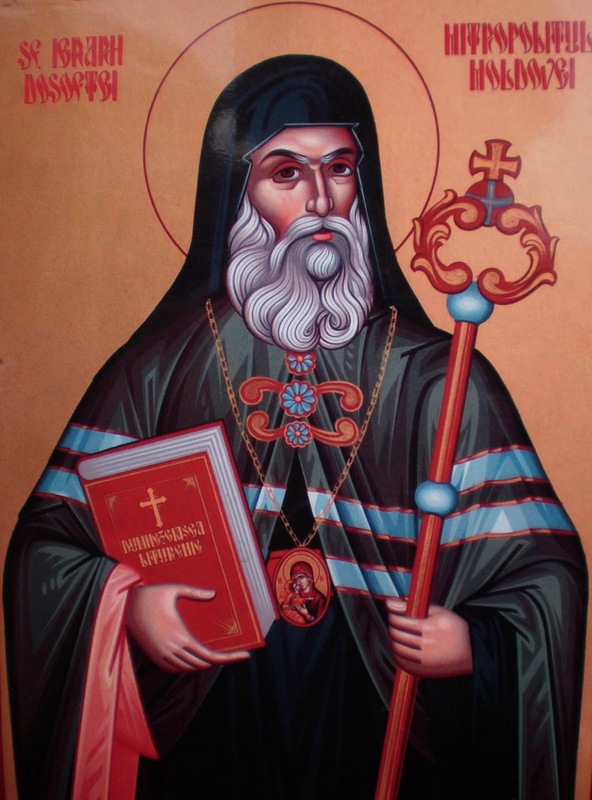 Another disciple or holy life was St. Irinarch Rosetti (1859), who founded the monastery of Horaita in Moldova and of the Mount Tabor church, in the Holy Land. There is to be mentioned as apprentice also St. Gheorghe from Cernica and Metropolitan St. Gregory the Teacher (Dascălul) from Wallachia, who also conducted a work of translating books and renewing the monastic life. The holiness of his life, made Paisius well known in the whole Moldova, both in the nobiliar circles, but also for the simple Christians, up to northen Russia. A Russian Metropolitan named Ambrose, being in Moldova, made him “archimandrite” (the highest monastic distinction in the Eastern Churches). 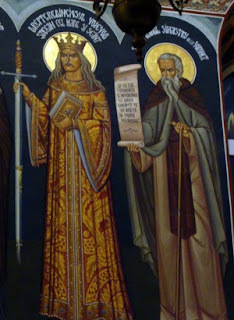 His influence was great on many monasteries and hermitages especially in Moldova (monasteries of Dragomirna, Secu, Neamt, Agapia, Văratec, Bisericani, Rasca, Vovidenia, Pocrov, Tarcău) and Wallachia (Cernica, Căldăruşani). In autumn 1794 Paisius fell ill and went to the Lord on November 15, at the age of 72 years. At the moment of his death, his congregation of two monasteries numbered more than 1,000 monks of different nationality (Romanian, Russian, Ukrainian, Greek, Bulgarian). He was buried in the crypt of the big church, built by the Voivod Saint Stefan the Great. Being honored as a saint yet in his life, his disciples have committed memorial service, appointed him as the annual feast day November 15. In the last decades of the eighteenth century and the nineteenth century, his Romanian disciples have spread the hesychasm in the Romanian lands and the Slavic ones, in more than 100 monasteries in Russia and Ukraine. In 1988, the Holy Synod of Russian Orthodox Church canonized St. Paisius, and the same made in 1992, the Holy Synod of the Romanian Orthodox Church, which put his commemoration, as St. Paisius from Neamt, on November 15. His tomb at the Neamt monastery is until today an important place for pilgrimage. “Defender of the true faith and the praise the monks, o, Pious Father Paisie, you loved Christ from your childhood, and as another Abraham you forsaken your country, leaving an ascetic life at the Mount Athos. And gathering many disciples, you have you the blessed country of Moldova, and you have made from Neamt Monastery a heaven and earth. For these, you are now together with the angels, not ceasing to pray to God for our souls”. St. Augustine of Hippo (lat. Sanctus Augustinus, b. 354, Thagaste Numidia - d. 28 August 430, Hippo Regius, the territory of today's Algeria), known also as Aurelius Augustinus, is one of the leading Christian theologians and philosophers, whose works have changed the European mind. His theology influenced not only the theological thoughts for more that a millennium, but also the political European thought. St. Augustine was born in Tagaste, in North Africa in November 13, 354. His father, Patricius, was a pagan and his mother Saint Monica, was an exemplary practitioner of Christianity. Augustine’s elementary education, received in his hometown, was Christian, but he wasn’t baptized as young. Being 16 he continued his studies at Madaura and Carthage and here came to “the way of sin”, as he says in his Confessions, having a mistress and later a son. Between 373-383 Augustine is Professor of Rhetoric in Tagaste and later in Carthage. Prior being Christian, he passed through several religions and philosophical orientations, particularly Manichaeism and dealt with clear division between good and evil, being concerned about the origin of evil. The Christianity appeared to Augustine as too simple, and instead of it Manichaeism was soliciting his intelligence. Though in the next 9 years he became unpleased by this faith and so went to Rome to teach rhetoric. Having not the success that he was expected, in 384 went to Milan where he became acquainted with the Neoplatonism, a modified version of Plato's philosophy, developed by Plotinus in the third century. Here he met the Christian St. bishop Ambrose and heard his preaches. Just when he thought to marry his former mistress, in order to give legitimacy to the relationship from his youth and to his son, he is involved in a new love story. But in this crisis, he retires in Cassiacus, a garden nearby, where it takes place his famous conversion, recorded in the eighth book of the Confessions. In a moment of revelation, “after a dramatic examination of the depths of his being”, under a fig tree, Augustine hears a child from the house near, saying: “Tolle, lege tolle, lege” (“take and read”) and, taking the Bible, he read the first words which fell under the eyes: “Not banquets and drunkenness, not in fornication and in deeds of shame, not in strife and envying: but put ye on the Lord Jesus Christ and caring The body will not do for lust” (Romans 13). After this moment of conversion, he let himself baptized by Bishop Ambrose on the night of the Easter 387. In 389 Augustine returned to Tagaste, where he was founding a monastic community, dedicated to the study of Scripture, and started the fight with the Manichaeanism and some Christian heresies. In the meantime he became priest in 391 and auxiliary bishop in Hippo Regius (395), being 42 years old. Later became the bishop of this town and remained in Hippo until the end of life. 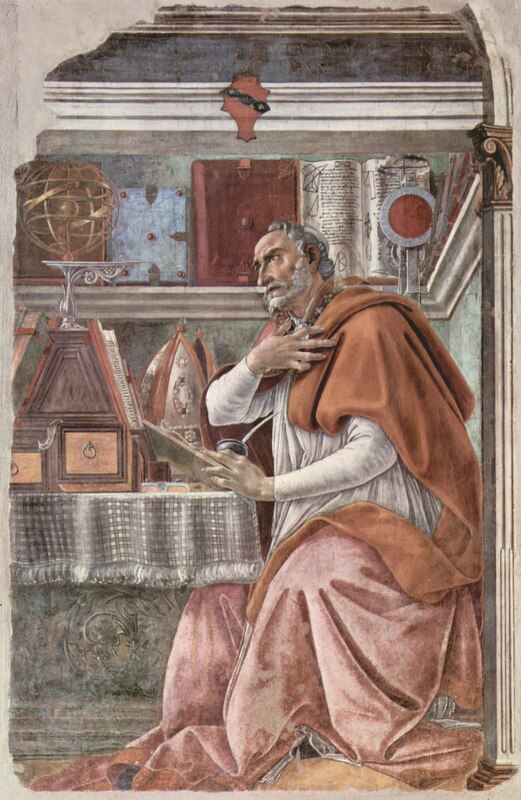 Augustine died at Hippo in 430 AD, in the seventy-sixth year of life. Vandals, one of barbarian tribes that invaded the Roman Empire in the process of dismantling, at that time besieged the town and several months later, they conquered it and burnt it almost completely. Although he was a bishop of a small town, Augustine’s brilliance seemed to all so obvious, that he has quickly become one of the most respected leaders of the Church. He is famous by his very many religious writings, completed probably being helped by many scribes. There are known today about 500 of his sermons and over 2000 of letters. Among his books, the most beautiful and influential are De Civitate Dei (“City of God”) and Confessiones (“Confessions”). The last one is maybe the most famous autobiography ever written, dating back to the days when he was less than fifty years. Many letters and sermons of Augustine are dedicated for combating Manichaeism, Donatism (a schismatic Christian sect from Northern Africa) and Pelagianism. Pelagius was an English monk who came to Rome around 400 in order to expose some interesting theological doctrines. He argued that all the human beings are untouched by original sin, so we have the freedom to choose between the good and the evil. The pious life and good deeds a person can obtain salvation. Partly because of the writings of St. Augustine, the views of Pelagius and the monk himself were declared heretical, and Pelagius had been exiled from Rome and excommunicated. As Augustine says, everyone bears the stigma of Adam’s sin. Human beings alone are unable to reach the Salvation through their own efforts and good deeds. For individual saving there is needed the Grace. In this way, Augustine maybe concentrated too much to show the human sin, and he didn’t speak about the human contribution in the work of salvation. Augustine argued that God already knows who will be saved and who not, and that therefore some of us are predestined to be saved. This idea of ​​predestination had a great influence on theologians who followed, such as Thomas Aquinas, and it was interpreted later so radically by Luther and John Calvin, that they said the human can’t do nothing for the salvation. In this way, the Sacrifice of Christ on the Cross is the salvation itself, without the human to accept it or not, and from here came the idea of the predestination. In this way, some people are damned from the eternity and this transforms God into an arbitrary entity, without love for his children. Of course, this doctrine is far away of Augustine’s views. During the life of Augustine, the Roman Empire was quickly dismantled. So, in 410, Rome itself was devastated by Alaric’s Visigoths. Naturally, the remaining pagans in Rome claimed already before this moment, that Rome had been punished for abandoning the old gods in favor of Christianity. In the most famous book of St. Augustine, De Civitate Dei, “the City of God”, the bishop of Hippo was defending the Christianity. Here he wrote his philosophy of history, which had a considerable influence on what happened later in Europe. St. Augustine puts history in a linear time axis, which starts from the creation of the world by God and ends at the time of the Final Judgement. Because of the original sin, being ejected from the paradise, all the creation splits into two entities. So arose the two cities: in one reside the evil spirits, which is Satan’s city, and the second city is governed by the divine laws. In the City of God there is only love and devotion for each other, and the inhabitants are in a permanent and total war with the devil's servants, war which will last until the end of history. The number of the warriors of Christ must increase continuously until the final defeat of Satan. Augustine expressed the opinion that neither the Roman Empire nor the city of Rome or another earthly city have a critical importance in the world. Essential is only the “celestial city”, in other words, the spiritual progress of mankind. The vehicle of this progress is, of course, the Church (“There is no salvation outside the Church”). In conclusion, the kings, whether pagan or Christian, have not the same importance as the Church leaders or the Church itself. The Church is, in this way, the model of the state of God on earth, and every Christian should have the belief of being part of the Christ’s Army, and from each action depends not only his own salvation but also the fate of the City of God. In every community, town or village, the priest is organizing the world after the divine model. In this way, the other mundane differences, such as linguistic culture, the political identity etc., become less important than the quality of being faithful to the Church. While Augustine himself did not do the final step, his argument leaded in the Middle Ages to the conclusion that the secular rulers should be subordinated to the Church and to its Roman leader, the pope. This idea was therefore behind the long conflict between the Church and the State, which has marked the history of Europe for many centuries, and the actual idea of the separation between the two entities, is an Augustinian one. In contrast, the Byzantine formula was the “synergeia”, the co-work between the church and the state, the bycephal monarchy – emperor and patriarch, which led until now to a mixing policy between the church and the state. His most important work for the researching of the human mind are, definitely, the Confessions. The book is an “exploring guide” of the thoughts, sins and mistakes, virtues, falling and returning. If the City of God is more an argumentative book, the Confessions are the leading path of a human through the life. The human himself finds in the world someway as a stranger. The quote “You made us searchers of yours, oh Lord, and our hearts shall ever restless be, until they find their rest in Thee” (Confessiones 1:1) is maybe the most common place from his work. Augustine states that the measuring of time and space come to the human being indirectly: he only adapts to them. There is well known his theory about the time and what is its meaning for the mentality: very normal to understand, as judging actually, but if asking exactly: “what is the time?”, the question remains eternally without a satisfactory answer. The Confessions and the later Retractationes are models of a human who recognized always his limits, the possibility of error and return, as a total humble man. The sublime of Augustine’s thoughts is not coming from his brilliant theories, from his philosophy, but from his human fineness in this extraordinary book. Augustine remains a central figure, both within Christianity and in the history of Western thought. Himself much influenced by Platonism and neo-Platonism, particularly by Plotinus, Augustine was important to the “baptism” of Greek thought and its entrance into the Western Christian (and subsequently the European) intellectual tradition. Also important was his early and influential writing on the human will, a central topic in ethics, and one which became a focus for later philosophers such as Arthur Schopenhauer and Friedrich Nietzsche, but also to the Protestant Reformers such as Martin Luther and John Calvin. The Roman Church and all the churches of the western traditions are celebrating St. Augustine in the day of his death, on August 28. In the Eastern communities, his image was not so strong imposed, so he is celebrated commonly with St. Jeronimus, on June 15. The Fifth Ecumenical Council, held in Constantinople in A.D. 553, listed Augustine among the other Fathers of the Church who are normative for the entire Ecclesia “We further declare that we hold fast to the decrees of the four Councils, and in every way follow the holy Fathers, Athanasius, Hilary, Basil, Gregory the Theologian, Gregory of Nyssa, Ambrose, Theophilus, John (Chrysostom) of Constantinople, Cyril, Augustine, Proclus, Leo and their writings on the true faith”. Later, in the acts of the 6th Ecumenical Council, he is called the “most excellent and blessed Augustine” and is referred to as “the most wise teacher”. In the Comnenian Council of Constantinople in 1166 he is referred to as “Ό Αγίος Αυγουστίνος” – “Saint Augustine”. Although there are today some reserves about his celebration in the East, being called “blessed” (lat. “beatus”) and not saint, this situation came probably in the late Middle Ages, when he was accused of some “western” theories which were not accepted in the East, such as the theory of predestination, the papal primacy or the theory of Filioque. Though being so or not, the cathegory of “blessed” is not a typical eastern, which make only differences between monk-saints, hierarchs, martyrs, etc, but not between “more” or “less” saints. The actual situation is often debated and many educated voices claims to re-establish the memory of St. Augustine in its place. The relics of St. Augustine are today in the “San Pietro” Church in Ciel d’Oro, from the Augustinian monastery in Pavia, Italy. Augustine died in Hippo, in 430 and was buried in the cathedral there. According to Bede’s True Martyrology, his body was moved to Cagliari, because of the vandal conquest of the region (they were arians). Bede tells that the remains were later redeemed out of the hands of the Saracens there, by Peter, the bishop of Pavia and deposited in the church of Saint Peter about the year 720, place where they rest until today. Saint Helena (complete name: Flavia Iulia Helena Augusta) (ca. 250 – 18 August 330) was the consort of the roman Emperor Constantius Chlorus (293 - 306), and the mother of Emperor Constantine I (306 - 337). She is traditionally credited with the finding the relics of the True Cross, with whom she is invariably represented in all the Christian iconography. Helena’s birthplace is not known for sure, being supposed either Asia Minor or even Britain. Procopius of Caesarea (6th century) is the first to mention that Helena was born in Drepanum, in Bithynia (Asia Minor). Because Constantine renamed the city as Helenopolis, after her death in 330, that supports the belief of Procopius. Anyway, there were also a Helenopolis in Palestine (modern Daburiyya) and another in Lydia, probably both named after Constantine's mother. Eusebius of Caesarea (4th century) states that she was about 80 on her return from Palestine (Vita Constantini 3.46), and if the journey is dated to 326–28, it may be calculated that she is born about in 250 AD. She came from a low ancestry, so that Saint Ambrose called her a “ bona” stabularia, a term translated as “good stable-maid” or “hostess”, so he understood such a occupation as a virtue (De obitu Theodosii 42). It is unknown where she first met Constantius, but is probably as during his service under Emperor Aurelian. The precise legal nature of the relationship between Helena and Constantius is also unknown, different sources and even St. Jerome calling Helena as Constantius’ “wife”, but sometimes, as his “concubine”. Helena gave birth to the future emperor Constantine I on the 27th of February, about 270/272 in Naissus (Niš, Serbia). Shortly after that, Constantius divorced Helena about in 290, in order to obtain a wife more consonant with his rising status, so he married Theodora, Maximian's daughter. Helena with her son were sent to the court of Diocletian at Nicomedia, where Constantine grew. Helena never remarried and lived for a time in obscurity, close to her only son, who had a deep regard and affection for her. Constantine was proclaimed Augustus of the Roman Empire in 306 by Constantius’ troops after the latter died, and following to that, St. Helena was brought back to the public life, in 312 at the imperial court. She received the title of Augusta in 325. St. Helena acquired her greatest fame by the finding of the True Cross. After Constantine appointed his mother as Augusta Imperatrix, gave her unlimited access to the imperial treasury, in order to locate the relics of the Christian tradition. So, in 326-28 Helena undertook a trip to the Holy Places in Palestine. Eusebius of Caesarea records that she was responsible for the construction of two temples, the Church of the Nativity, Bethlehem, and the Church on the Mount of Olives, sites of Christ’s birth and ascension. A tradition attributes to Helena also the construction of the Church of the Burning Bush of Mount Sinai. The legend of Helena’s discovery of the Cross originated in Jerusalem in the second half of the fourth century and rapidly spread over the whole empire. Three versions of the legend came into existence in Late Antiquity: the Helena legend, the Protonike legend and the Judas Kyriakos legend. The Helena legend, which was known in Greek and Latin, is found at many Churchfathers and other writers: Rufinus (Hist. Eccl., 10.7-8), Socrates (Hist. Eccl. 1.17 PG 67, 117ff), Sozomen (Hist., Eccl. 2.1-2) Theodoretus (Hist. Eccl. 1.18), Ambrose (De obitu Theod., 40-49), Paulinus of Nola (Epist., 31.4-5), and Sulpicius Severus (Chron. 2.22-34). According to this version, when Helena came to Jerusalem, the city renamed as Aelia Capitolina was rebuilding from the destruction of Emperor Hadrian after the revolt of Bar Kochba (135 AD). In order to stop the Christian pilgrimages Hadrian also ordered to be built a temple dedicated to Venus over the site of Jesus’s tomb near Calvary. According to tradition, Helena ordered the demolition of the temple and chose a site to begin excavating, which led to the recovery of three different crosses. In order to recognize the true Cross, the Bishop Macarius of Jerusalem took all three of them and touched a woman who was already at the point of death. Her condition changed when she touched the third and final cross. After that, St. Helena ordered the building of the first Church of the Holy Sepulchre. According to the Protonike legend, which circulated in the Syriac-speaking regions, Helena’s role is taken over by the fictitious first-century empress Protonike. Finally, the Judas Kyriakos legend, originated in Greek, but also known in Latin and Syriac, relates how Helena discovered the Cross with the help of the Jew Judas, who later converted and received the name Kyriakos. It became the most popular version of the three, probably because of its anti-Judaism. St. Helena also found the nails of the crucifixion, and placed one of them in Constantine’s helmet, and another in the bridle of his horse, in order to protect him im the battles. Helena left Jerusalem and the eastern provinces in 327 to return to Rome, bringing with her parts of the True Cross and other relics, which were stored in her palace’s private chapel, where they can be still seen today. Her palace was later converted into the Basilica of the Holy Cross in Jerusalem. According to one tradition, Helena acquired the Holy Tunic on her trip to Jerusalem and sent it to Trier, where supposedly there is the relics with the head of Helena. Finally, another tradition states that St. Helena found also the relics of the Three Magi, which was firstly in the possession of the imperial family, and later given as gift to the bishop Eustorgius. After a while they were in Milano, from where the German Emperor Friedrich Barbarossa took them to the Dome in Cologne. During her entire life, she gave many presents to the poor, released prisoners and mingled with the ordinary worshippers in modest attire. Saint Helena died in 330, shortly after her journey to the East, in the presence of her son Constantine (Euseb., Vita Const., 3.46). 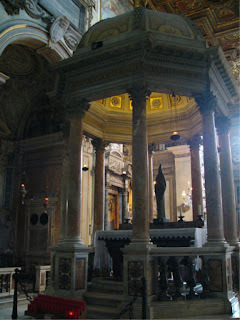 She was buried in the Mausoleum of Helena, outside Rome on the Via Labicana. 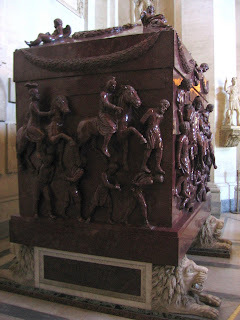 The porphyry sarcophagus, which contained her remains, is now in the Pio-Clementine Vatican Museum. St. Helena was honoured immediately after her death. Eusebius of Nicomedia, the Imperial Chancellor called it “worthy of eternal memory”, St. Ambrose, “a great lady” and St. Paulinus of Nola praises her great faith in his poems. 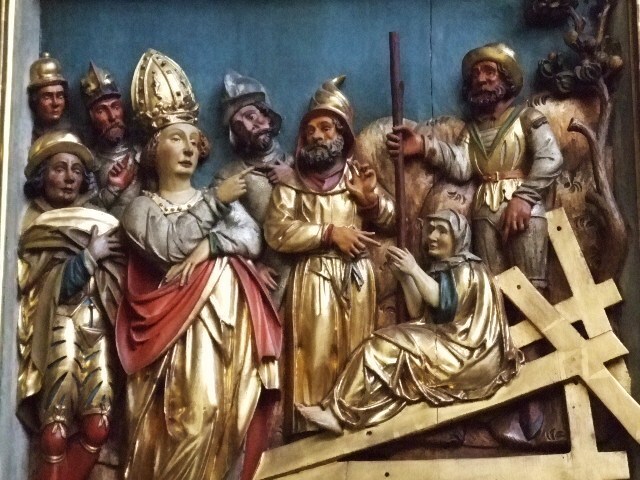 In the Western tradition, St. Helena is the patron saint of the cities Frankfurt and Basel, of the English towns Abingdon and Colchester, and the dioceses of Trier, Ascoli, Bamberg, Pesaro, Frankfurt. She is the protector of dyers and of the manufacturers of needles and nails, but also the patron saint of new discoveries, because of the campaign in Palestine. In the Eastern tradition, she is often considered the one who helps the peasants for good and abundant crops. To St Helena are dedicated many churches, monasteries and other sacred places. In the Great Britain (where a later legend, mentioned by Henry of Huntingdon, claimed that Helena was a daughter of the British King Cole of Camulodunum) at least twenty-five holy wells are dedicated to Saint Helena. In Poland, the most common place associated with the Holy Cross, but also with Helen, is a monastery and church of the Missionary Oblates of Mary Immaculate on the mountain Łysa Góra. In the Eastern Christianity there are very many monasteries and churches dedicated commonly to the Emperors Constantine and Helena. The patriarchal cathedral of Bucharest has the holy Emperors as its Patron Saints. In the Orthodox Calendar, St. Helena is celebrated together with her son on 21 May (3 June, after the julian calendar), this day being called “the Feast of the Holy Great Emperors Constantine and Helen, Equals to the Apostles”. Likewise, the Anglican churches and some Lutheran churches keep the Eastern date. Her feast day in the Roman Catholic Church falls on 18 August. In the Coptic Orthodox Church the Feast is on 9 Pashons. In the iconography of the East, St. Helena is put on the imperial costume, with crown on her head, clothed in rich eastern clothing, having a white kerchief on her head. Always she is accompanied by a cross, often held together with her son Constantine. Also she is one of the main characters depicted in the icon of the Exaltation of the Holy Cross (eastern Feast on 14th September), together with the Archbishop Makarios of Jerusalem. In the sacred art of Western Christianity, St. Helena is associated always with the cross, the three nails and a model of the church. She is represented as a old woman also in an imperial costume. “Today Constantine and Helena, his mother, expose to our veneration the Cross, the awesome Cross of Christ, a sign of salvation and a standard of victory: a great symbol of conquest and triumph”.